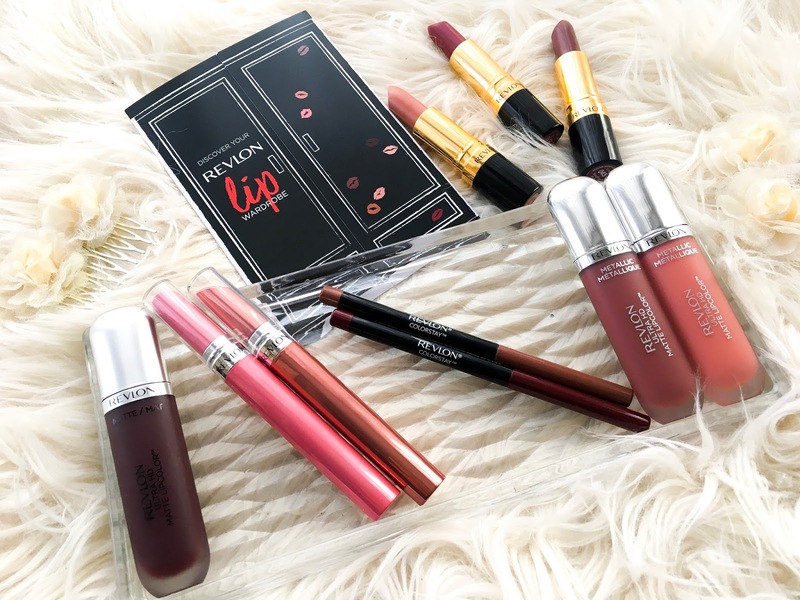 A few weeks ago I received a wonderful boxed filled with Revlon lip goodies. 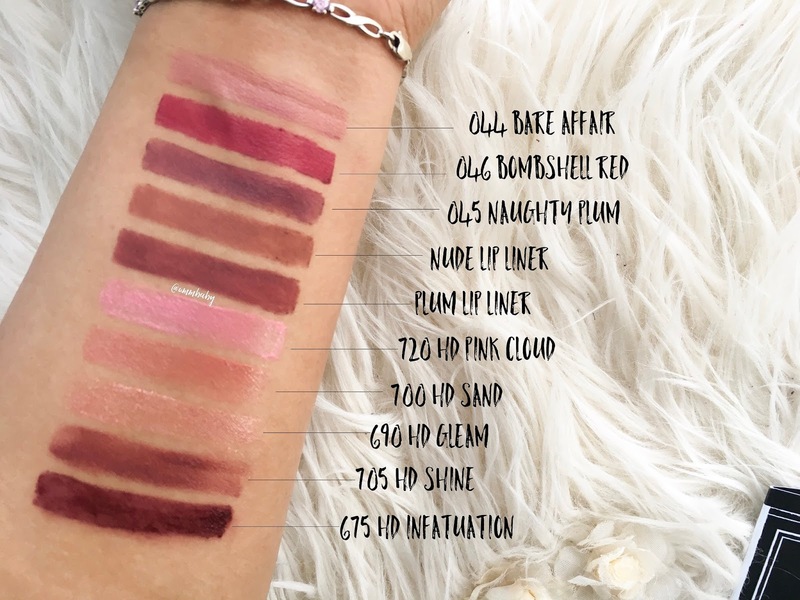 It showcases some of the current lip products by the brand, with a range of shades from sweet to chic. I was super happy to see a couple more of the Revlon Ultra HD Gel Lipcolors* which I got sent last time. They are some of the best new lipsticks I’ve tried in a long time. They’re super comfortable on the lips thanks to a buttery formula, very pigmented and they smell like sweets. The packaging is slim and easy to throw in your handbag and the slanted shape makes it easy to apply even without a mirror. I have to say the deeper and brighter shades apply more evenly than these lighter two shades, which don’t seem quite as pigmented. If you haven’t tried this formula, I highly recommend you do check them out because I know I’m not the only one that is impressed with this lipstick range. I used to use Revlon ColorStay Lipliners* a good few years ago and was convinced they got discontinued. Whether they did or not, I’m happy to have these in my life again. They’re retractable (my favourite) so there’s no product wastage and they come with little sharpeners build into the tops if you need a very precise tip. This formula glides on without tugging and is fairly long lasting. Both of these shades work to line or to fill in the lips too and have a creamy, soft matte finish. 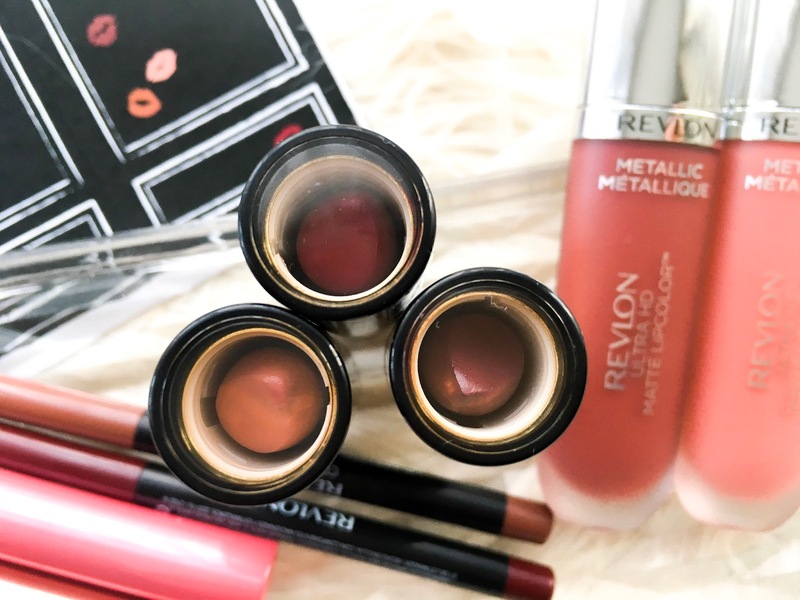 I feel like Revlon lipsticks haven’t altered their look for decades and they still have that very classic lipstick look about them with their iconic branding gold ring around each bullet. Just looking at the packaging of these Revlon Super Lustrous Lipsticks* reminds me of my childhood and the lipsticks I would see my mum and older sisters using. Even the lipstick inside is quite traditional to my mind. A creamy lipstick, that can be built up for more colour intensity with a lustrous finish. One feature of the lipstick that I do like it the transparent windows in the lids which allows you to see the lipstick inside. This will be handy if you store your lipstick upright in a drawer as you won’t be rummaging around for the names or having to open them up each time. I know the Revlon Ultra HD Matte Lipcolors* get quite a bit stick for not being matte at all, but I actually really love the product as the formula is so comfortable on the lips and smells like candy floss to me. The Lip Wardrobe contains one of the classic matte ones though I do find this deeper shade quite patchy to apply. There are also two in the metallic finish and I have to say I’m not the biggest fan of metallic lips but these might have the trend growing on me. The lighter shade reminds me of the lip glosses I used to adore wearing when I was in my late teens. They have that really nice lightweight texture that never feel drying on the lips and somehow look metallic and kind of matte at once.